Stimulatte is a charming little cafe located on Hay street in Subiaco, Perth. After being amazing by Stimulatte’s fantastic coffee, and getting a peak at their breakfast menu, We couldn’t help but return the very next day to give it a try. We ordered a coffee and a smoothie to start. The coffee was as expected, very good, full bodied, lots of flavour and well presented. 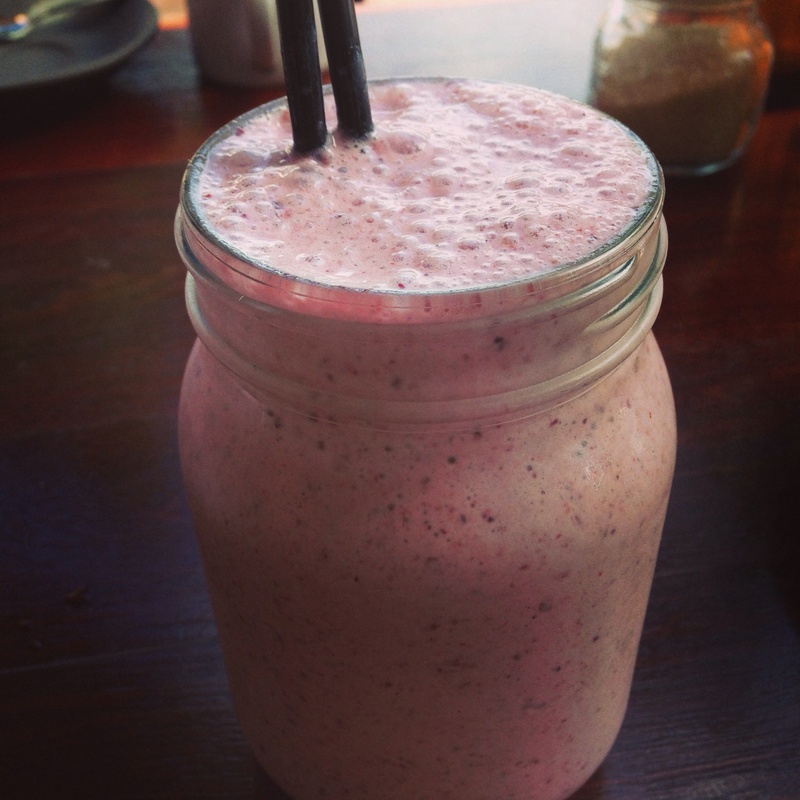 The smoothie was very impressive at a glance, I love the use of mason jars to serve food (I got into this when making my tim tam creations) and it was fresh, thick and flavoursome, with berries and banana. For our meals we ordered the huevos rancheros and the haloumi and hummus poached eggs. 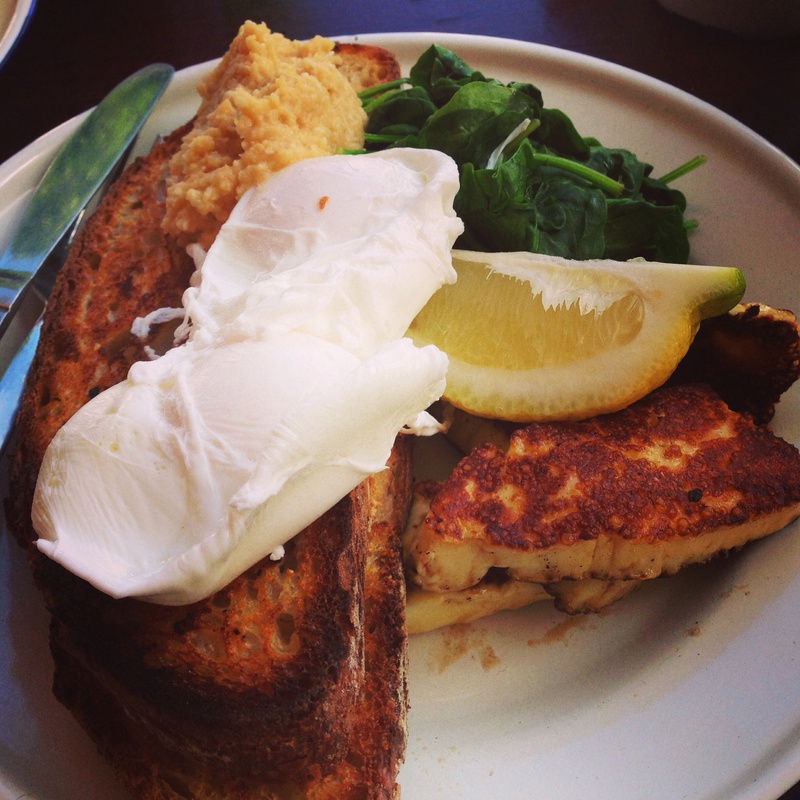 The eggs arrived soft poached with wilted greens and hot grilled haloumi. The temperature of the haloumi is very important because as soon as it starts to cool the previously delicious cheese can become rubbery. The hummus had an interesting balance and was perhaps a little more garlic-y then I would expect, but spread over the toast with a little butter, poached egg, green and the haloumi it was perfect. The huevos were interesting and a little unconventional. ‘Huevos rancheros’ refers to fried eggs served on corn tortillas with a spicy tomato sauce. It w ll generally be served with Mexican rice, refried beans, guacamole or just slices of avocado, in the style of a rural Mexican breakfast. Stimulatte offers huevos with two options, one with pork scratchings for the meat eaters, and another with avocado. 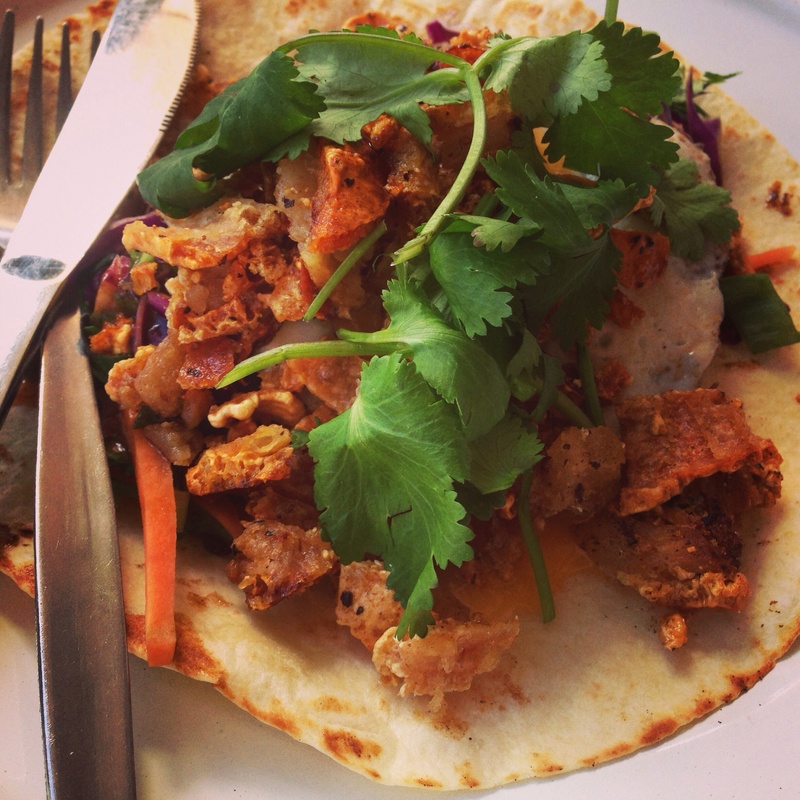 We tried the meat eater version, while very tasty it definitely lacked the flavour and texture of the avocado. Next time we will try and get all the extras to have a more traditional heuvos. 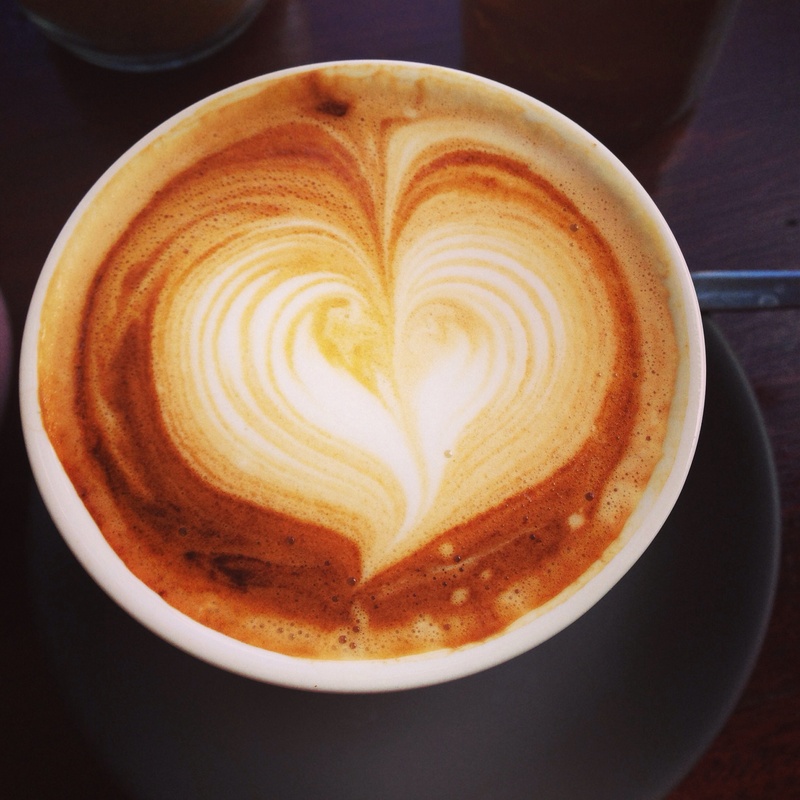 When you’re next visiting Subiaco be sure to drop in to Stimulatte for a coffee and a snack.